Update 17 January 2019: Resources for Coast Guardians (“Coasties”) affected by the government shut down and missing a paycheck. For the 4th time in my Air Force career, Congress has failed to perform their duties and fund the government. As of 22 Dec 2018, there is no chance the government gets funded before Christmas. Bipartisan legislation was proposed in 2013 and called the “Pay Our Military Act,” which passed both houses of Congress unanimously. Until a continuing resolution, appropriations act, or legislation similar to the Pay Our Military Act passes Congress and is signed by the President, US military servicemembers may not be paid on 15 Jan.
A government shutdown is a great example of an external force beyond your control that impacts your life. There's nothing you can do to get Congress to pay you. You are just one voter out of 200 million and you do not have a billion dollars to buy a politician. Now you have a choice. You can rage against the machine or to take positive, actionable steps in your own life to mitigate the risks of not being paid. 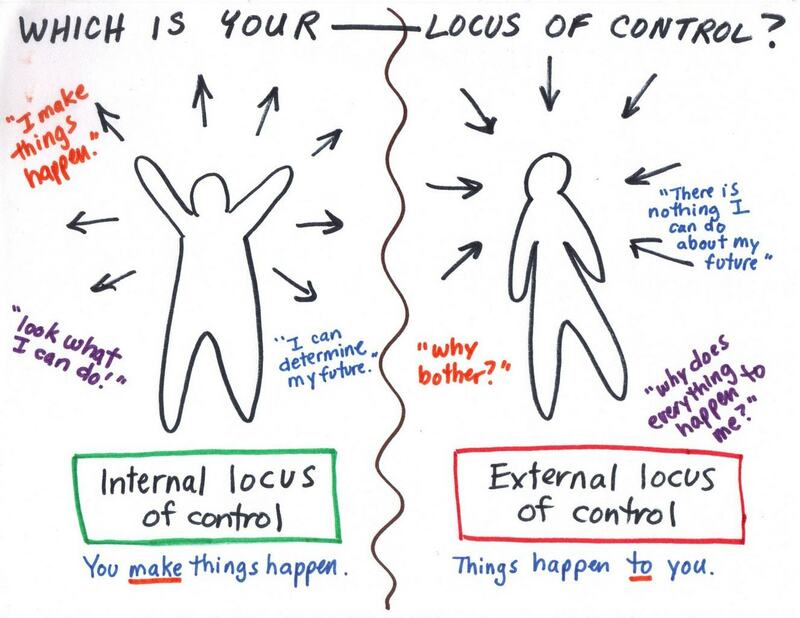 This is a great time to review the concepts of circle of control vs. circle of concern, or “locus of control.” You can either be a victim of your circumstances or you can take control of your life. Sure, it's okay to rage a bit against the useless politicians of Washington. But once you're done with that epic Facebook rant, it's time to take actionable steps. If you are about to close on a house, my sympathies. If you can delay any purchases, especially larger ones, now is the time. Instead of going out to eat, now is the time to make some dinners at home and bring the lunch to work. Reduce your discretionary spending as much as you can. Carpool if you can, stay off of Amazon, and enjoy free or pre-paid (Netflix, Amazon Video) entertainment. Now is a great time to pick up that book you delayed reading. Rather than investing in your Roth IRA, set that money aside in a savings account until the political storm dies down. 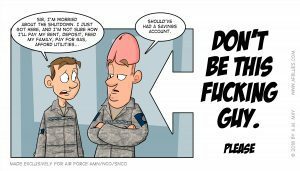 Once military pay is restored, invest that money ASAP so you are not tempted to spend it. If your making debt repayments, rather than paying extra on them this month, just make the minimum payment. This does not apply to credit cards. Always pay those off in full every month so you do not carry a balance with interest. If you can't make your credit card payments, ask if they have any 0% interest offers available or if they can extend your bill due date a few days. If you're making student loan, auto, USAA cadet loan, or mortgage payments, only pay what is required. Save the extra payments you would normally make in cash until military pay is secure again for at least the next year. Manage your cash flow closely until we get paid again. Take this opportunity to analyze your credit card statements and see if you pay for monthly subscriptions you do not use or fully enjoy. This is a good time to cancel gym memberships, app subscriptions, and website subscriptions and save that extra cash. The biggest military friendly banks are covering your 1 February pay if Congress doesn't get their act together. USAA and Navy Federal Credit Union are both offering up to $6000 in 0% interest loans if military members are not paid 1 February. Details on how to sign up for the loan will be emailed to USAA members as we approach 1 Feb. NFCU members can sign up for the loan at the link above. 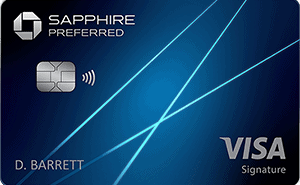 Check the respective pages for details and eligibility requirements. Note that Navy Fed requires one previous direct deposit payment from the DoD and USAA requires two months of prior direct deposit. This means switching is a solution for the next government shutdown, not the current one. If you do not have an emergency fund set aside (see below), talk to your commander or first sergeant about financial assistance to help you get through this time. If you don't feel comfortable talking to them or want to skip straight to the point, check out the official military relief societies loan programs below. Always utilize your service's relief society loans before turning to any kind of personal loan, pay day loan, or auto title loan. The loans listed below are all offered interest free and have generous repayment schedules. It's a bit late now if you don't have an emergency fund. Again, focus on what you can control. When we do start getting paid again, set aside some savings so you can cover at least 1 month of expenses. Then, continue saving until you have enough set aside to be comfortable. 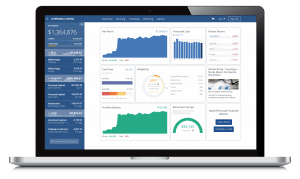 Financial advisers recommend anywhere from $1000 to 6 months of expenses. For me, $10,000 set aside is sufficient to where I lose no sleep at night, but not so excessive that I think I am missing out on investment gains. Plus, having $10,000 in cash means I can max out my SDP quickly when I deploy. If you are going to struggle to pay your bills and don't have any emergency funds, consider a loan from one of the military relief societies listed above. Avoid payday loans, pay advance loans, or any loan with interest on it. You have ready and easy access to interest free loans from the military aid societies. Use them! Like all things, this government shutdown will end soon and things will return to the status quo. There are usually several bills presented in the House and Senate to appropriate money to pay US troops even if other appropriations or a continuing resolution are not passed. Last time the government shutdown in January 2018 it lasted only 3 days and military pay was not affected during that time so not much to stress about. If you were not prepared this time for this situation with emergency savings, take note and build an emergency fund for the next time something similar happens. An emergency fund is not just for government shutdowns. There are many reasons why you may need a few thousand dollars on hand, like a ticket home for a funeral, a medical emergency, or a car repair. If you need help during this time, please reach out to your commander, first sergeant, or military aid societies listed above. Do not let Congress's ineptitude impact your financial security. 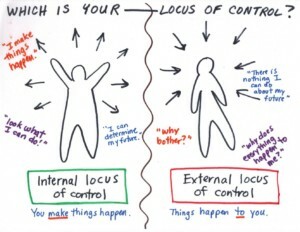 Have an internal locus of control and don't worry about the things you can't change.